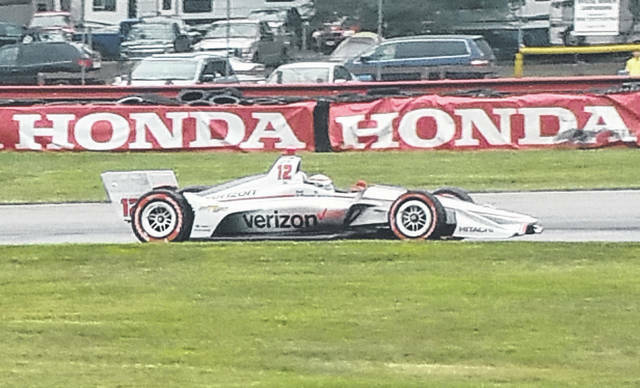 Alexander Rossi claimed the checkered flag during a clean race at Sunday’s Honda Indy 200 at Mid-Ohio Sports Car Course. All 24 drivers were still running at the end of the 90-lap race and there were no caution flags on the day, meaning that pit strategy was key in determining the winner. Rossi only pitted twice during the race, while the other competitors visited pit lane three or four times. Starting on the front row with Will Power, Rossi led the first 30 laps. Rookie Robert Wickens and Power traded the lead for the next 19 laps before Rossi regained the advantage on the 49th lap. Wickens would briefly hold the lead for five laps a bit later in the race, but when Rossi took control of first place on the 65th lap, he would remain there for the rest of the way, finishing on top by nearly 13 seconds over Wickens. Power placed third, while Josef Newgarden was fourth and Scott Dixon claimed fifth. Overall, Rossi led 66 of the 90 laps and his win moved him past Newgarden into second place in the season points standings with 448. Dixon still leads in the standings with 494. While the IndyCar event was the highlight of the weekend, there were a total of nine support races, as the Indy Lights, Pro Mazda and MX-5 Cup all ran once, while the USF2000 series saw action three times. 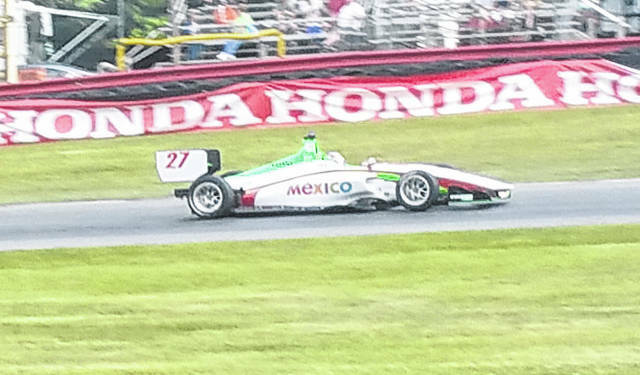 In the Indy Lights series, where both races were 30 laps in duration, Patricio O’Ward won on both Saturday and Sunday, while Colton Herta claimed second place both days. On Saturday, Dalton Kellett took third place, while Ryan Norman was the third-place finisher Sunday. There was also a double winner in the Pro Mazda series, as Rinus VeeKay placed first in both 25-lap races. David Malukas took second on Saturday, while Robert Megennis ran third. Meginnis claimed second place Sunday, while Oliver Askew was third. There were two different winners in the MX-5 series. On Saturday, Robert Noaker finished first, while Herman Palermo took second and Robert Stout placed third. Sunday saw Bryan Ortiz finish first, while Nathanial Sparks was second and Joey Bickers took third place. In the three-race weekend for the USF2000 series, Kyle Kirkwood had a lot of success winning all three times those cars took the track. On Friday in the 20-lap race, Lucas Kohl was second and Calvin Ming ran third. Kohl was also second on Saturday, while Igor Fraga placed third. James Raven finished second on Saturday and Rasmus Lindh placed third. 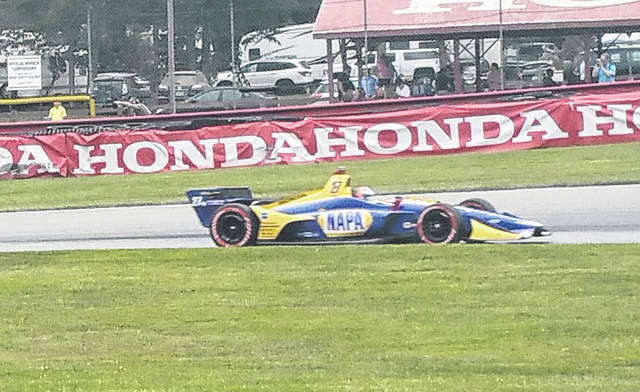 Alexander Rossi picked up the win at Mid-Ohio Sunday in the Honda Indy 200, leading the majority of laps in the race. 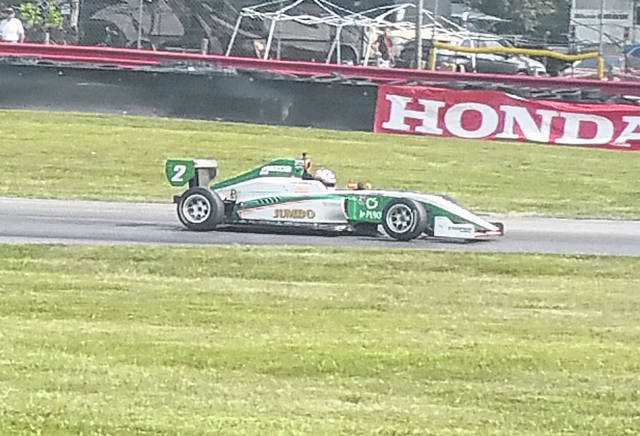 Picking up a pair of wins in the Indy Lights series over the weekend at Mid-Ohio Sports Car Course was Patricio O’Ward. Will Power led part of the way in the Honda Indy 200 before finishing in third place. 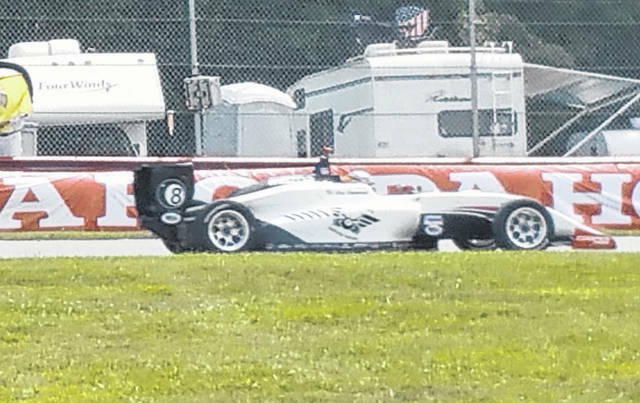 Rinus VeeKay claimed wins on both Saturday and Sunday in the Pro Mazda Series. 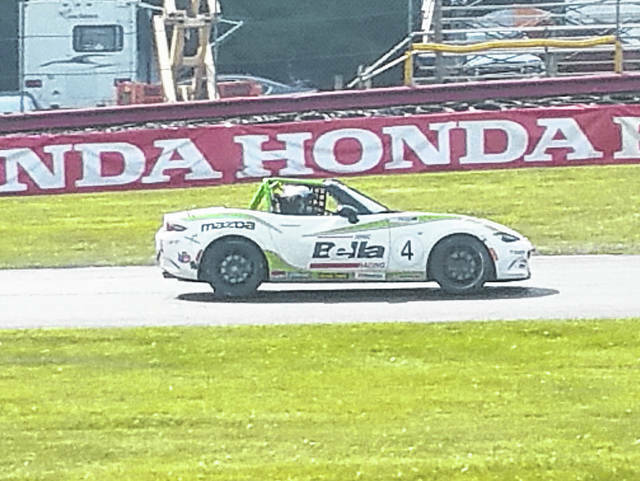 Bryan Ortiz claimed first place in Sunday’s MX-5 Cup race. Claiming three wins in as many days was Kyle Kirkwood, who swept the weekend’s activities in the USF2000 series.